Jones Select Alligator Exotic blend contains over 70% high protein alligator along with natural and nutritious ingredients, including chickpeas. 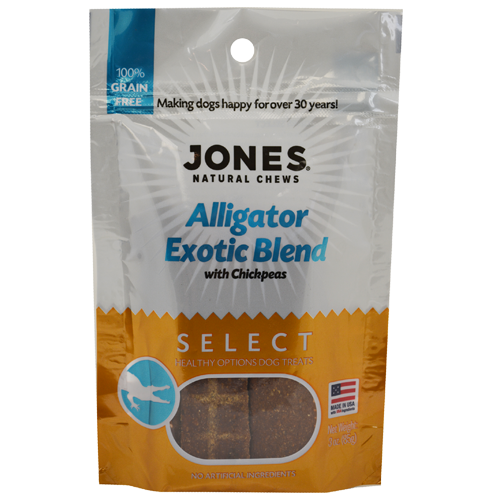 Jones Select Alligator Exotic blend treats are packed with protein and flavor that dogs crave. High-protein alligator is combined with chickpeas and other natural ingredients, making it perfect for dogs who are fed grain-free or raw diets.